The Healthy Breast Foundations Program is a stand alone program for optimizing breast health and preventing breast cancer. It is the introductory course for the Healthy Breast Program, and is the prerequisite for the Healthy Breast Practitioner’s Program and Healthy Breast Yoga Teacher Training Program, which are geared towards licensed health practitioners and anyone interested in yoga applications for breast health, respectively. It consists of 12 hour-long powerpoint webinars with Sat Dharam Kaur ND guiding you through the many facets of breast health – hormonal, environmental, dietary, nutritional, psychological and spiritual. Each of the twelve modules includes a home practice program. If you take the full course, you will be provided with the Healthy Breast Foundations workbook to easily assimilate and integrate the material in each module. Each class has been recorded and is available to you to listen to. The webinars are presented through AdobeConnect – you simply need high speed internet with Flash. The online discussion will be through Zoom – I will send you the link once you register. There is no charge for you to use Zoom. You will be able to connect to others who have taken the program before via a closed Healthy Breast Program Facebook Group. You will also have access to 12 online meditation videos as part of the course. This format of the Healthy Breast Foundations Program is an Online course consisting of 12 modules. The course is very well organized and offers in-depth material that benefits all women, regardless of whether breast cancer has affected their lives or not. I highly recommend it! Certification is available to you to become a Healthy Breast Educator after completion of the course and after handing in the written assignments relevant to each of the twelve modules, as well as a video of you teaching one full module to a client or group. In the online 12 week webinar series, you will study one module per week accompanied by a manual, 12 pre-recorded or live webinars with weekly group facilitation and a home practice program. The next course runs Sept 16, 2016 through to Dec 23, 2016. We’ll meet for 12 Fridays, from 9:30 a.m. to 10:30 a.m. EDT (Toronto time) for a lively discussion of the weekly module. You will view the pre-recorded webinar of the weekly module before the live discussion, and be ready with questions and comments during the discussion. The weekly webinars range from about 40 minutes to 2 hours in length. The course is supported with an online “moodle” platform. We encourage you to submit your home practice work weekly in order to qualify as a Healthy Breast Educator. You may also take the program as a self-study and start anytime. 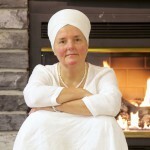 Sept 16, 2016|40-120 Minute Webinar|Taught by Sat Dharam Kaur N.D.
Sept 23, 2016|40-120 Minute Webinar|Taught by Sat Dharam Kaur N.D.
Sept 30, 2016|40-120 Minute Webinar|Taught by Sat Dharam Kaur N.D.
Oct 7, 2016|40-120 Minute Webinar|Taught by Sat Dharam Kaur N.D.
Oct 14, 2016|40-120 Minute Webinar|Taught by Sat Dharam Kaur N.D.
Oct 21, 2016|40-120 Minute Webinar|Taught by Sat Dharam Kaur N.D.
Oct 28, 2016|40-120 Minute Webinar|Taught by Sat Dharam Kaur N.D.
Nov 11, 2016|40-120 Minute Webinar|Taught by Sat Dharam Kaur N.D.
Dec 2, 2016|40-120 Minute Webinar|Taught by Sat Dharam Kaur N.D.
Dec 9, 2016|40-120 Minute Webinar|Taught by Sat Dharam Kaur N.D.
Dec 16, 2016|40-120 Minute Webinar|Taught by Sat Dharam Kaur N.D.
Dec 23, 2016|40-120 Minute Webinar|Taught by Sat Dharam Kaur N.D.